Dérive is an app artwork conceived by Haroon Mirza. Dérive plays with concepts that have their roots in the traditions of Brass Band marching and fitness apps where the tempo of the music dictates the pace of the participant. With Dérive these concepts are inverted and the user uses their pace to alter and distort the tempo of music from their library. Dérive also contains a library of brass band music recorded for the app by the Durham Miners’ Association Brass Band and the Tredegar Town Brass Band. In Mirza’s own words Dérive is ‘very erratic and chaotic’, it disrupts our very experience of using an app, as much as it invites us to disrupt and distort the music we listen to. The original idea merged the Situationists’ idea of experimental behaviour and drifting through a landscape with the Durham Colliery Bands’ legacy of designated processional routes. This underpinned the release of the first version of the app which coincided with the Durham International Brass Festival, 2015. Users were invited to ‘march’ along to specially recorded versions of traditional brass band music to emulate the steps of the musicians, or rather, distort the natural state by using their own walking pace to alter the tempo of the music. The current version of Dérive connects more to our own personal ‘marching’ habits, i.e. our propensity to accompany any walking or running activity with a sound track from our music library. Mirza encourages us to disrupt this process by inviting us to use variations in our footsteps to alter the natural tempo of the music to create new dynamic soundscapes that in themselves are abstract records of our distinct physical journeys. Dérive ‘changes the music (in you playlist) in unexpected ways but clearly related to your footsteps’ Haroon Mirza, 2016. For Mirza, Dérive is still very much a work in progress. Dérive is produced by Apps by Artists and developed by Haroon Mirza, Flo-culture and GMS/ with the support of Lisson Gallery. Dérive was originally produced as part of the BRASS: Durham International Festival, celebrations in 2015. The original concept was developed with funding from Arts Council England and Durham County Council. 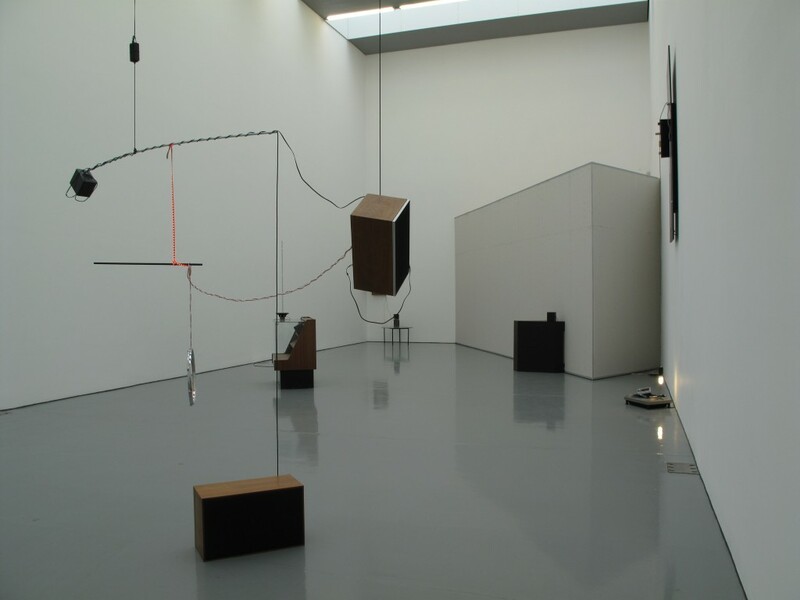 Haroon Mirza (b 1977) asks us to reconsider the perceptual distinctions between noise, sound and music, and draws into question the categorisation of cultural forms. “All music is organised sound or organised noise,” he says. “So as long as you’re organising acoustic material, it’s just the perception and the context that defines it as music or noise or sound or just a nuisance” (2013).